Some children learn the phrase ‘don’t talk to strangers’ directly from their parents. Some learn it by example. Not all are raised learning that sparking conversations with strangers is a good thing; yet, Vishesh Anand remembers his parents encouraging him to do so at a young age. Anand grew up in India, where he first hesitated to approach strangers for random questions – could that be right? Now Anand, on the brink of graduating halfway around the world from New Delhi, can share how those lessons planted the seeds for his college career as a self-proclaimed advocate for students. One highlight of his time at UCLA? Being called “Dad” by his residents during his first year as an Residential Assistant. As an RA, he strives to bring a support system to every student and be their personal advocates, he said. Whether that means popping into the lounge after class every day or letting sorority hopefuls vent to him after a day of flavored water consumption, he is willing to give students – especially first-years – his time. One year, he recreated a program his own RA had done: RA Cafe. Anand and his co grabbed a moving cart, a makeshift tabletop, bedsheets, snacks and coffee to bring to life a cafe on wheels for students holed up in their rooms for tenth-week study sessions. In another creative twist, he held a Smoothie Bowls and Goals event where residents could concoct the fruity treats for free, if they filled out a goals worksheet with objectives for the year, quarter and their entire time at UCLA. Flying abroad for college and making friends there might be hard for some. Not for Anand. 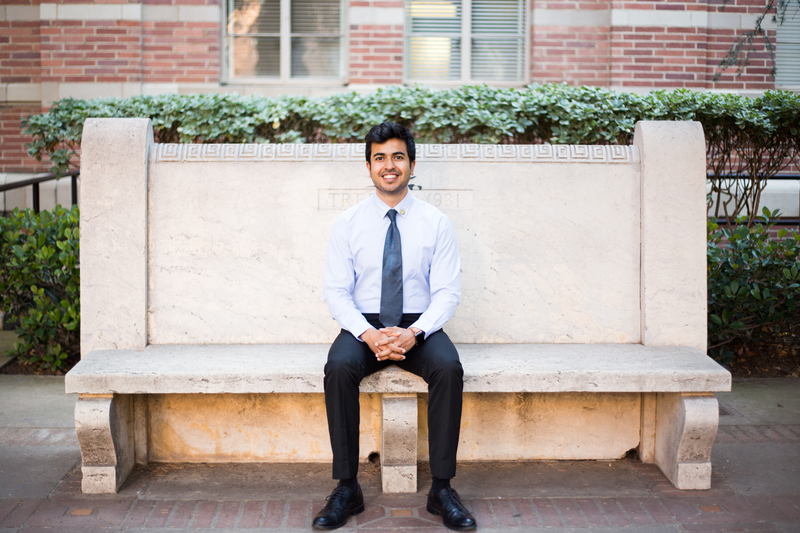 Despite attending a small international school in India, Anand said he felt eager to jump into a bigger pool at UCLA. Anand didn’t have too difficult a time transitioning. Many were inquisitive about international students and made him feel welcome, he said. 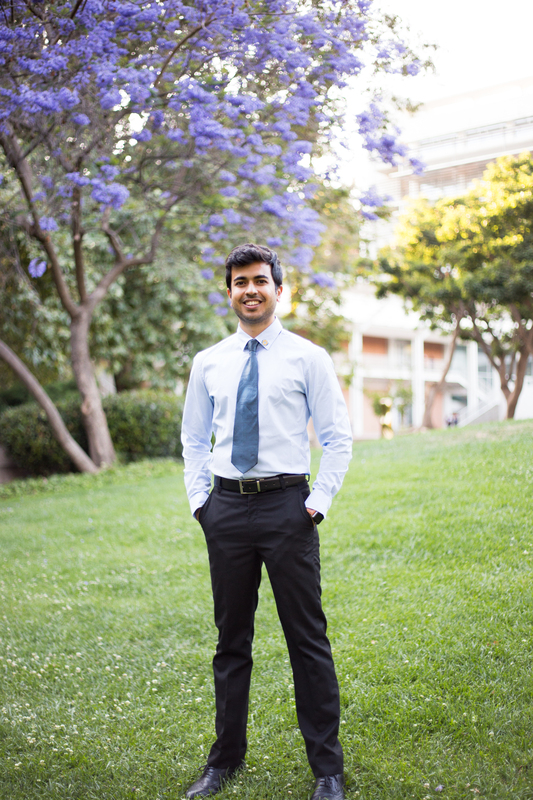 During junior year, Anand put his social skills to work in another area of student life: health advocacy. The interest stemmed from a disappointment in student government, he said. Anand said he decided to join an active part of student government instead of complaining about it. His objective introduced him to Student Health Advocates, or SHA, a program within the Student Wellness Commission on campus. Coming into the program relatively inexperienced on topics such as CPR and body image, Anand said the program helped him grow in the realm of programming advocacy. During his time in SHA, the club began providing free condoms in the Ackerman Union and promoted a move towards healthy eating over restrictive dieting, he added. Anand also enacted new change in his fraternity, Phi Kappa Sigma, by helping organize a benefit concert called Rock Out for a Cure this year. Contacting performers, arranging the space, and organizing logistics with local authorities paid off well for the cause, he said. Anand was a member of the fraternity’s first new class when they reopened in 2014 after more than a decade-long hiatus. Anand doesn’t quite know what’s next. In the future, he hopes to work in the field of international nonprofit consulting and flesh out his passion for community outreach. So, did Anand’s original plan of jumping into UCLA work? Has he met enough people on campus to make this immense school seem small?